Active or extinct, Mexico has a long list of volcanoes. 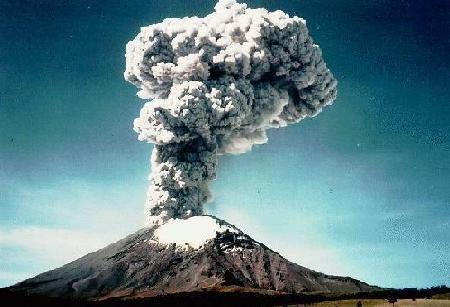 Those that was ever to have been known to have erupted are the Volcan Barcena in 1953, Ceboruco in 1875, El Chichon in 1982, Colima in 2009 and is still continuing. Some had erupted in 3940 BC such as the Las Cumbres, otheres like the Jocotitlan in 1270 +/- 75 years, we do not even know. 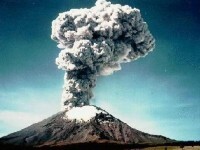 Popocatepetl which is still active was last erupted in 2006. There is still many of them not mentioned here. Trans-Mexican volcanic belt. It is the second highest peak at more than five thousand meters after the Pico de Orizaba, and you cannot missed it. 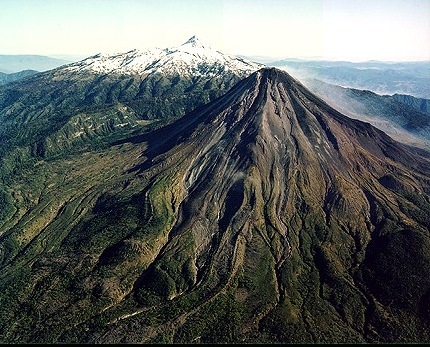 In a way, it is linked to the Iztaccihuatl volcano by the Paso de Cortes high saddle. At some atmospheric conditions, you can see it. The snowy and glacier-clad mountain allows the Puebla residents to see it 365 days for the entire year. Global warming has thin the glaciers over the past ten years, also the increased volcanic activity. There are also magma erupting from it, a mixture of basaltic andesite and dacite. Colima is rather on the Western Mexico region. It is on the central Pacific coast having the same borders as Michoacan and Jalisco. The other main cities near it are Manzanillo and Tecoman. It has one of the highest standards of living with also a figure of the lowest unemployment. Still it is an important beach destination in particular Manzanillo. Then the other small town that is ever popular near to Colima is the traditional town Comala. A must see is the mural by the Colima painter Jorge Chavez Carrillo of the main stairwell at the Palacio Federal (near Jardin Nunez). Haciendas are also a must see. The Del Carmen hacienda at Villa de Alvarez used to be a cattle ranch in the 19th century. See also the San Antonio hacienda in Comala which was a coffee plantation with a chapel and aqueduct. The third is the Nogueras hacienda that has a main house dated from the 19th century and a 17th century chapel. Today you will see it as a museum that has been restored. There are other historical features to be seen, perhaps you will be interested to explore the ruins of an old Franciscan monastery of the 16th century.